- Understand the limitations of current non-surgical techniques in periodontal therapy and identify the advantages of incorporating endoscopic methodology into daily practice. - Become more familiar with the literature, biology, and innovative use of host modulated therapy. - Gain a new understanding of the benefits of piezo root instrumentation over hand scaling and identify the most efficient tips for traditional root planing and endoscopic procedures. 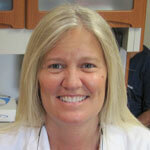 - Understand the science and clinical parameters for using regenerative proteins in non-surgical periodontal therapy.